The satellite was launched in 1991 by the Space Shuttle Discovery. It was 35 feet long, 15 feet in diameter, weighed 13,000 pounds, and carrierd 10 instruments. UARS orbited at an altitude of 375 miles with an orbital inclination of 57 degrees. Designed to operate for three years, six of its ten instruments functioned for over 14 years. UARS measured ozone and chemical compounds found in the ozone layer which affect ozone chemistry and processes. 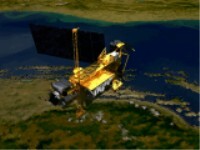 UARS also measured winds and temperatures in the stratosphere as well as the energy input from the Sun. Together, these help define the role of the upper atmosphere in climate and climate variability. 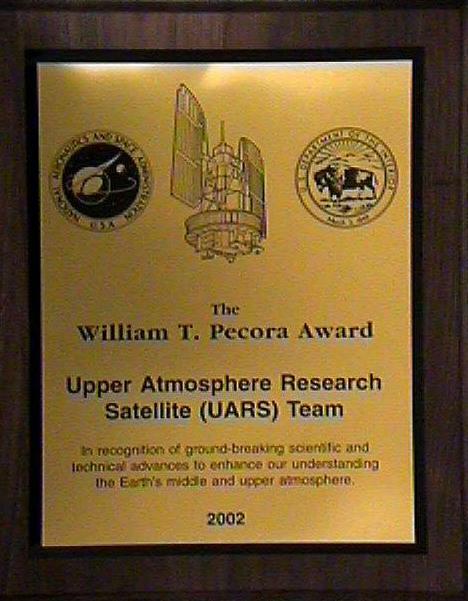 UARS was officially decommissioned on Dec. 14, 2005. 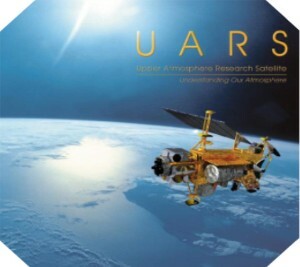 Most of the UARS atmospheric composition measurements are being continued with EOS Aura and all of the UARS solar irradiance measurements are being continued with SORCE and ACRIMSAT .